What is more American than apple pie, right? 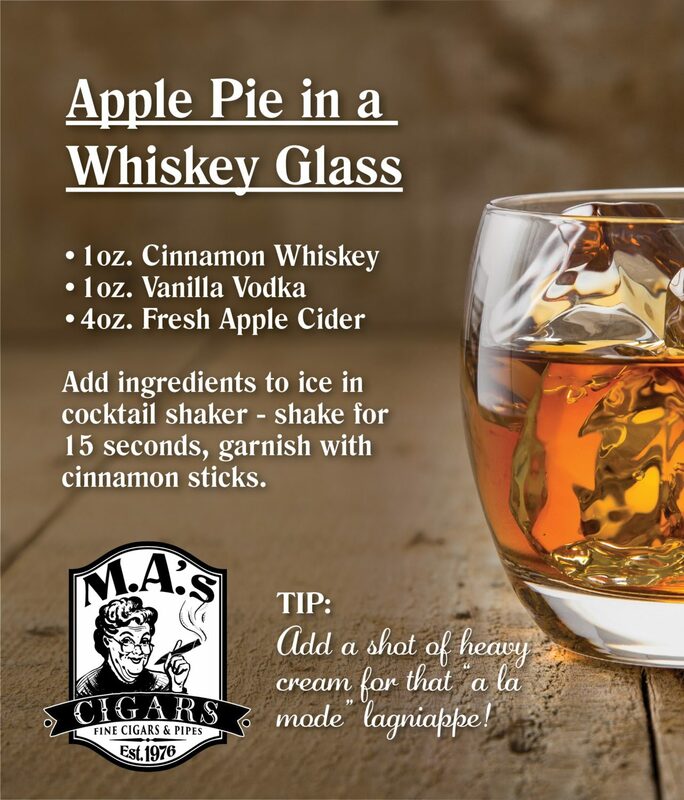 We think this Apple Pie Whiskey, paired with a fine cigar, is the perfect tribute to our great nation. Add ingredients to ice in cocktail shaker – shake for 15 seconds, garnish with cinnamon sticks. Tip: Add a shot of heavy cream for that “a la mode” lagniappe!